I won't sugarcoat the class. We are ranked about where we should be. It was a nightmare season followed by a transition, which hurts you twice as bad with the early signing period. But as @Lance Roffers pointed out in his great series "College Football's Legs Race," this class is very athletic. The combine testing confirms that statement. What the class lacks is college-ready, instant impact guys. That's where the Portal comes in. It was perfect timing- we needed age and we had room. The Portal provided the rest. -Jason Blissett is 270-pound tailback that needs to add some DT weight. Jared Hunte is a high-flying basketball convert with an NFL body. Let them sit while Chigozie Nnoruka provides strength and experience at a grown-man position. - Jahfari Harvey and Cam Williams have the length and twitch but weigh less than 240 lbs. Trevon Hill gives us an instant pass rusher while those two sit at the training table. - Keontra Smith is an elite talent who would have been counted on to start right away. Bubba Bolden is another elite talent who is already in his twenties. Now, we don't have to rush Smith's development as he transitions from LB. - We didn't sign a high school running back. Asa Martin provides a 215 lbs. physical runner to complement the track stars in the '18 class (CamRon, Lingard) and the '20 class (Don Chaney). - Sam Brooks and Avery Huff are two of the most talented players in Florida. They have the production, speed and versatility. All they lack is weight. Although Shaq and Pickney didn't come from the Portal, their return gives Brooks and Huff time to grow into monsters. - Peyton Matocha is a late bloomer who is transitioning from low-level, private school Texas football. Tate Martell takes some of the immediate pressure off him. - Zion Nelson is already physical, long and explosive. The only drawback is that he weighs 240 pounds. Adam El-Gammal just finished his first year of football and needs to learn the game. Tommy Kennedy gives them both some time to grow. - The WR room needed some age and maturity. Jeremiah Payton is a Clemson-level talent but he's still a teen. KJ Osborn is a driven worker who is striving for the NFL. He is exactly what the doctor ordered. We signed some other really good pieces. Te'Cory Couch has everything you need at corner- long arms, quick feet, speed, ball skills and competitiveness. All he needs is weight. Christian Williams combines some of the best attributes of Michael Jackson and Sheldrick Redwine. I love how he makes plays in every phase of the game. Jalar Holley opened a lot of eyes as a senior, is young for his class and works hard. He could be the Kendrick Norton-type we've been looking for. Offensively, Larry Hodges did everything at Jesuit. He lined up wide, blocked, returned kicks and ran the ball out of the backfield. He will fit like a glove in Enos's formation-heavy offense. Jakai Clark has been playing big-time Georgia football for years at an All-State level. His leadership will fit well at center once he gets in college shape. The punter, Louis Hedley, is already viral and will be a legend if he reclaims our place as Punter U. All these guys have a chance. But the biggest reason for optimism is obvious. Six weeks ago, Jon Richt was our QB coach. Mark Richt was justifying a 30-year-old playbook. Thomas Brown was questioning whether eating shrimp turned men gay. We were headed to a slow death. Now we have new life. Spring can't get here soon enough. Overall definitely a great crop of talent coming in the door. I don't think we will have a drop off at all next season and our expectation should be ACC championship or bust. This team is realllllly good and as Diaz stated, Dan Enos was the best signing for the entire cycle. Great piece D appreciate all your hard work bro. Thomas Brown was questioning whether eating shrimp turned men gay. Thomas Brown was doing what now? If we can secure one more OL through transfers this class will be fine. We'll go into next year with pretty good depth actually. It is critical that we have a successful season next year. 10 wins minimum. Anything less and we could have another disappointing high school recruiting class. That said, NFL teams make a living hiring free agents while at the same timing drafting and developing rookies. We need to view the portal as the free agent market, one we should play every year along with recruiting high school players. Couldn’t agree more D. What has transpired in the last 6 weeks or so is nothing short of miraculous! 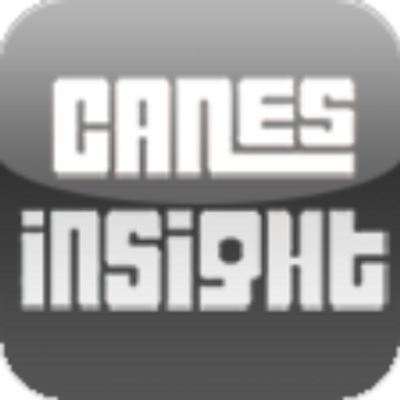 I haven’t been this excited about an upcoming Canes season in a long time! Thomas Brown was questioning whether eating shrimp turned men gay. We were headed to a slow death. Now we have new life. I can always count on spin doctor to get me excited for the upcoming class and season. Thank you!